Learn how to increase your sales intelligence by following three simple LinkedIn sales tactics. Intelligent life is out there. I’ve seen it with my own eyes. See, there is a vast amount of sales intelligence available today, and the best sales pros always use this intelligence to their advantage. Intelligent sellers avoid Uninformed Fire-Offs (UFOs) like the plague because they know the dangers they pose to each sales opportunity. UFOs are quick-twitch communication attempts salespeople make when reaching out to valuable new prospects. They lack research and thought, meaning they almost always lack relevance. To intelligent sellers, UFOs are unexplainable phenomena because they are more likely to achieve a negative first impression than they are to achieve meaningful engagement. Seriously, why would anyone self-destruct a sales opportunity in this age by blindly rushing the process? There’s too much information available, too many ways to see things clearly before reaching out to new prospects. LinkedIn Sales Navigator gives you access to profile details of your 3rd degree connections, including complete work history. Whether you’re using Lead Builder to create lead lists using custom criteria, or Premium Search to find the right people faster, you can save your contacts and access the expanded profile details whenever you need them. Expanded profile views also allow you to see the LinkedIn Groups a prospect participates in. If your prospect’s company has its own LinkedIn Group, this can be a fantastic place to discover the discussion topics that matter most along with the “insider” language used to talk about these topics. Use information from expanded profiles to ensure your communication is strategic and relevant. The “People Also Viewed” section can help you discover similar companies to include in your prospecting list. It can also provide competitors for you to reference. TeamLink instantly broadens your network to include everyone at your company, meaning it exponentially increases the number of warm paths you have to prospects. You can even use the TeamLink connections search filter to yield only the prospects with connections to your team. You can quickly search for a mutual skill, similar background or similar interest by looking at the expanded profile view of your prospect. To do this quickly, simply check out the “In Common with ‘Prospect Name’” section of the profile. Be part of intelligent sales life and pull prospects closer to you, tractor beam style. Use LinkedIn sales intelligence to craft strategic, thoughtful communication that shows you’re a serious, detail-oriented partner. Need more sales intelligence? 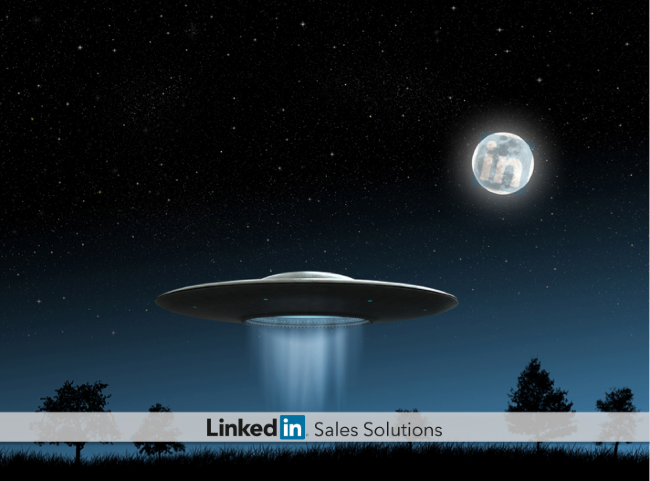 Learn how LinkedIn Sales Navigator can give you out-of-this-world sales smarts.